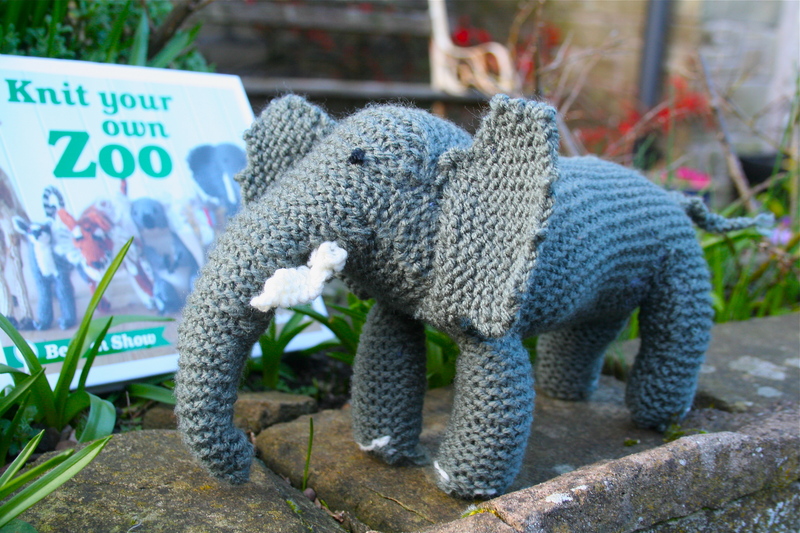 Today is Day 19 of my 10 week challenge to knit 10 zoo animals, without ever having knitted before, all in aid of the World Wildlife Fund! The WWF is helping elephants in four main ways; reducing the conflict between local people and elephants, strengthening anti-poaching initiatives, working to stop illegal ivory trade, and conserving and protecting elephant habitats. It would be really lovely if you could help share and promote my JustGiving page, where you can also leave a donation and words of encouragement! And what’s this week’s animal? Well, the rarest of the bear family, none other than the WWF’s logo itself – the Panda! This is my first animal that uses more than one colour so could be quite a step up in the challenge. I’ll let you know how it’s gone on Sunday! 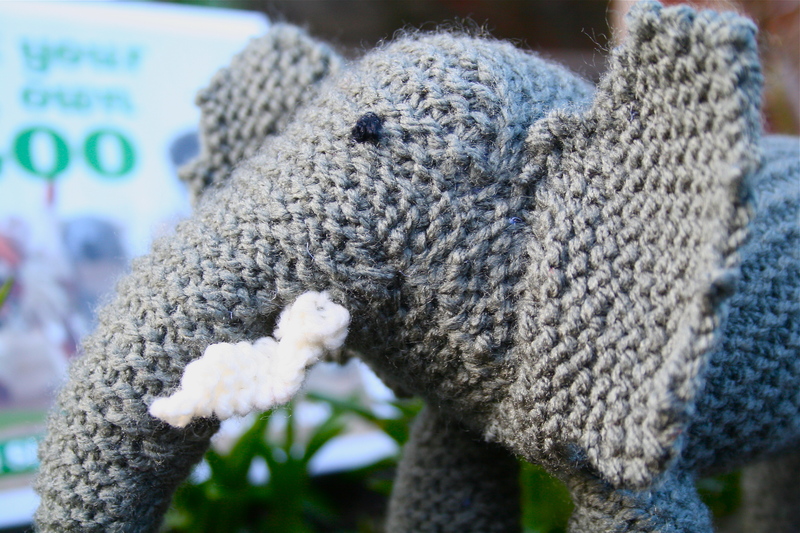 Your elephant looks wonderful,one of my favourite animals. I think your doing brilliantly. If I’m struggling to figure which is the right side of something I loop a small piece of different coloured yarn through one of the stitches near the bottom on the right side. It can be easily removed when your done. Hope that made sense. I’m sure there are other ways of remembering. Do you have a button that could be used as a link to your just giving page. I’d be happy to put it in my side bar. Good luck with the panda, although I don’t think you’ll need it you’re doing great. Thank you! I’ll definitely try that this time – hopefully it’ll put an end to the back-to-front leg problem. 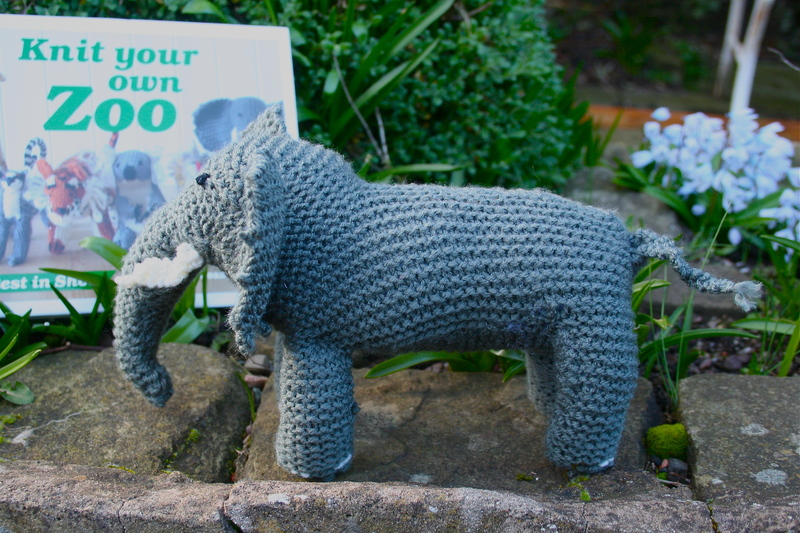 & that would be brilliant – would the logo (https://goodnightboutique.files.wordpress.com/2014/02/knit-your-own-zoo-project-logo1.jpg) work or does it need to be a specific size? Thanks for popping by my blog. I honestly haven’t the faintest idea if I can use the logo. But I will have a play around and if I can’t come up with a link for my sidebar I will give you a mention in my posts. Fingers crossed. Hope the panda is progressing well. He’s superb! I love his trunk. You’ll be an expert at the end of all this. Looking forward to seeing you attempt something with lots of colour changes alter on. I’ve never tried that myself. There’s a pipe cleaner in the trunk to help bend it into shape. 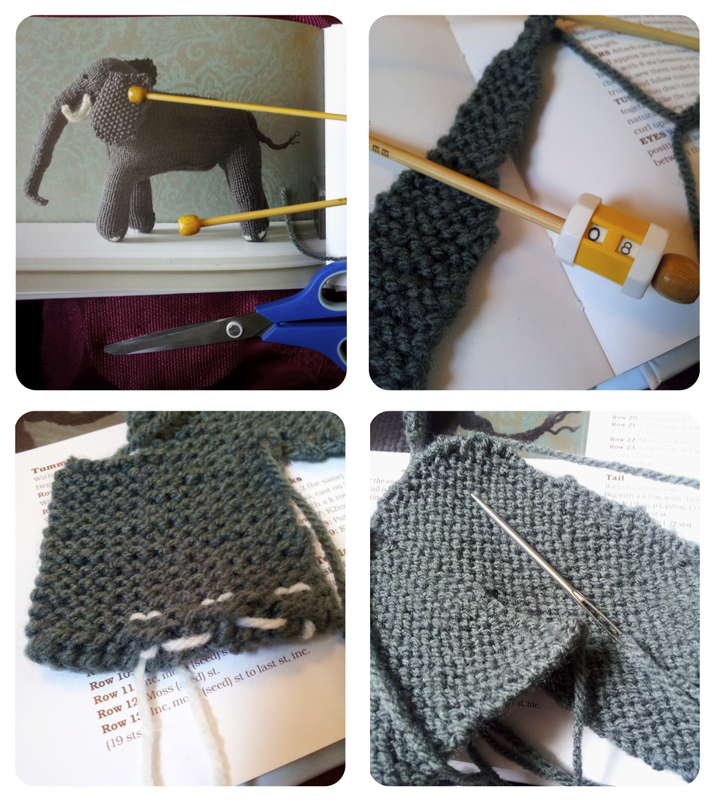 Changing colour is proving quite difficult – I keep getting the wool knotted up at the moment!